J'aime moins: Software...Auto setup and how-to make things work right. Would be 10/10 stars if that would be different. OK, whatever you do , DO NOT put 2 disks immediately inside, unit will auto setup as Mirror Raid cutting capacity to half. Bad parts comes now - how to get out of it...Well, you have to disassemble unit again and pull one disk out, then reboot. You end up with bad RAID. Fun starts there....Now put disk back in, again reboot and.... You have to STOP/De-install running programs manually one by one :P (yes, its installs software on both disks, :P) Trust me, it takes few hours to set it on JBOD/basic mode for a IT pro. Then count 4-6 hours for drives consistency check :P ..Well you can work with it, but on half speed.. Conclusion: This unit is great, when you finally set it up correctly, but software and how to do it are so badly configured and not intuitive at all for things that should be done with one mouse click. Trust me when a pro has to read "destruction manual"and look on line for tricks "how to"....thats really rare. 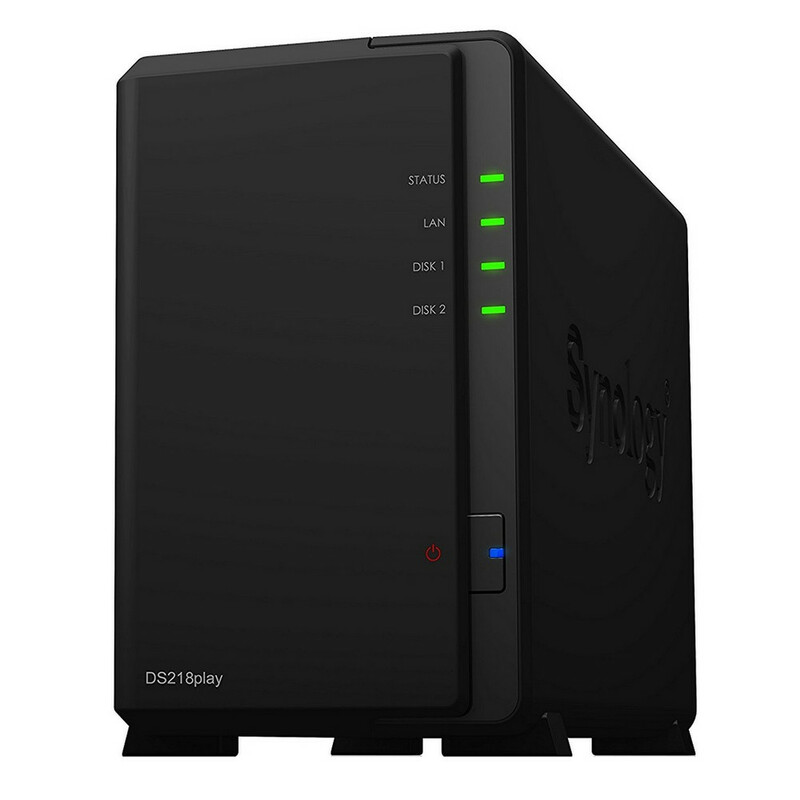 Les produits ci-dessous ont été sélectionnés pour compléter idéalement Synology DS218play, cochez la (les) case(s) pour ajouter simultanément au panier.